The Beekeeper's Apprentice at our local Barnes & Noble a few years ago. WHY has it taken me so long to get to this series?! I've heard nothing but good things about these books, and this one met or exceeded every accolade I've heard! The books cover the apprenticeship of Mary Russell, a 15-year-old orphan at the beginning of this book, to the great Sherlock Holmes. Mary stumbles across Holmes on the Sussex Downs and he quickly realizes that, perhaps, he has met his equal in intelligence and observance. He takes the lonely Mary under his wing, teaching her the art of detection, fronting her money to make her comfortable when her stingy aunt won't allow her the money out of her inheritance, and coming to care for her greatly by the end of the novel. Mary eventually becomes Holmes' second on the various cases he investigates in his "retirement," including the case of an American senator's kidnapped daughter. That case leads into a more complicated one, a new foe who seems to have both Holmes and Russell in his sights. Watching Russell grow in her ability to reason and solve crimes is amazing. Seeing Holmes recognize that he has met his match is also wonderful. This book was smart, interesting, fun, the whole gamut. Exactly what I look for in a mystery (or any other novel for that matter). I can't wait to read the rest. Five out of five Whatevers. I couldn't read this one fast enough! Recommended for lovers of Holmes, for those who like to read about young women coming into their own, and for those who love a good, old-fashioned mystery. Tonight, we went to the in-laws for dinner to celebrate Father's Day. My brother-in-law grilled us burgers and Ricky and I brought dessert. It was a nice chance to get together with the family. And we came away with some home-grown basil and mangoes from the tree in their backyard. As far as work goes, it's been slow for a while, but I have a trial set for the week of July 4th. I'm kind of excited about this one, so we shall see how it goes. 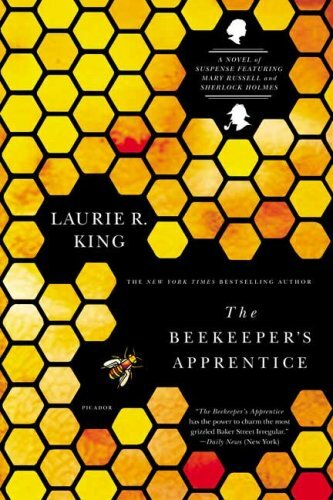 I'm currently reading The Beekeeper's Apprentice. And I LOVE it. I've heard nothing but good things about this series by Laurie R. King, and those comments are proving true. I have the rest of the series on my shelf, too, so now the question is whether to pace myself or to rush through the rest of the series ASAP. I think I'll try to pace myself. Now, with the Outlander series that I'm re-reading, I'm in the midst of two series that I really love. Sigh. Book heaven! What are you reading these days? What series do you absolutely love? 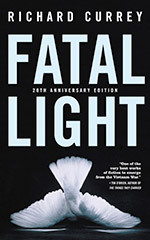 This book was sent to me through LibraryThing's Early Reviewers program. Loon - where I didn't expect to like the book at all, but ended up loving it. However, it was not to be. 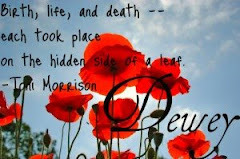 I don't know if it was the way the book was written or what, but it did not resonate with me. The book is written in two different styles: one is a regular, everyday story-telling type of writing, but the other is this staccato, choppy, stream-of-consciousness style that I did NOT care for at all. I get that it is supposed to convey the confusion, weariness, and sadness that the nameless protagonist is experiencing during his time in Vietnam, but I couldn't get into it. Maybe that is because I felt like I couldn't relate to the narrator. We never learn his name or much about him, really. He loves a girl, he gets sent off to war, he has a family at home who miss him, he has strange wartime experiences in Vietnam, then he comes home. That's about it. Maybe I'm burnt out on Vietnam books, having read Loon not too long ago, and then Beach Music, which also had a Vietnam component to it. Maybe, as I suspect, I just don't like books about war. Maybe I don't like books about Vietnam. I just didn't feel like I connected with this book or learned much from it. Had I not known what an LZ was from reading Loon, I certainly wouldn't have found out by reading this book. Two out of five Whatevers. Recommended for people who like war books or Vietnam-era literature. Just not for me.